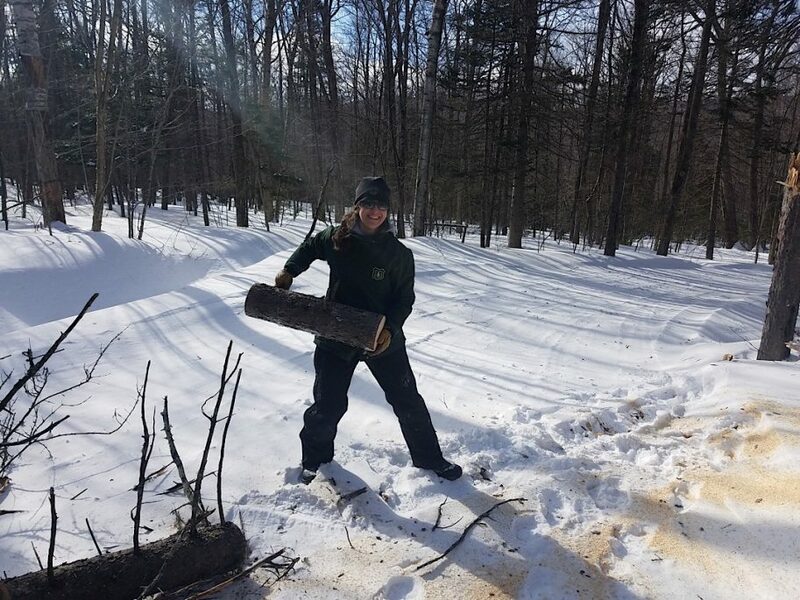 Melting snow, mud season and boiling sap are all indications that this great season is coming to an end. 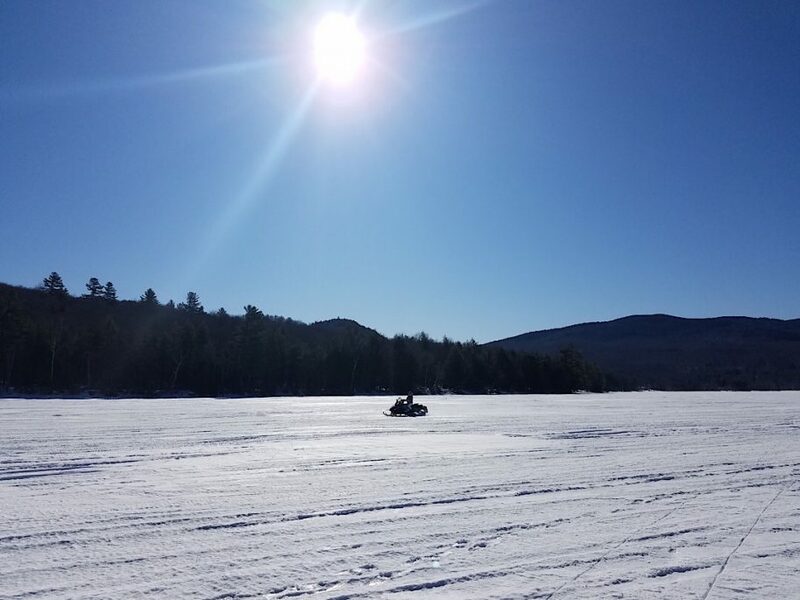 Our trails will remain open until Midnight Sunday April 7, 2019. Please use caution for spring riding conditions. Gates will be closing beginning Monday April 8, 2019. Our trails were groomed on Monday night and Tuesday. Conditions are good with still lots of snow. 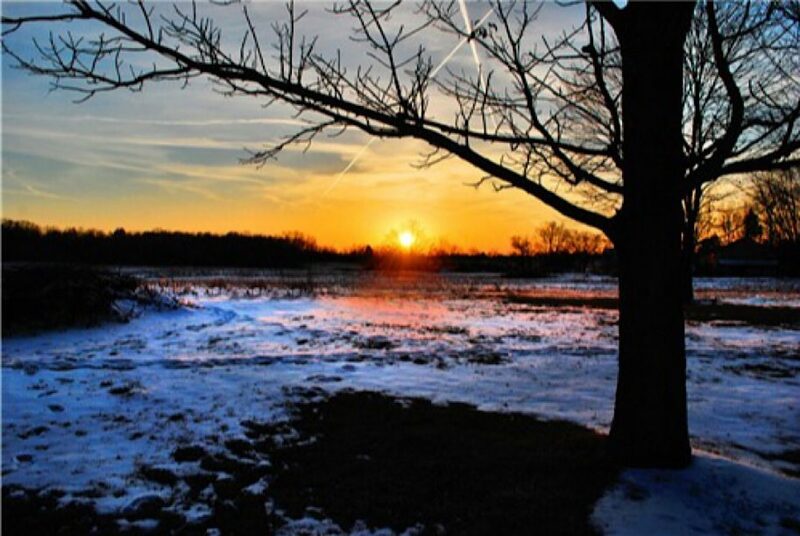 The strong sun and warm temps will eventually end our season. Perhaps one more week. 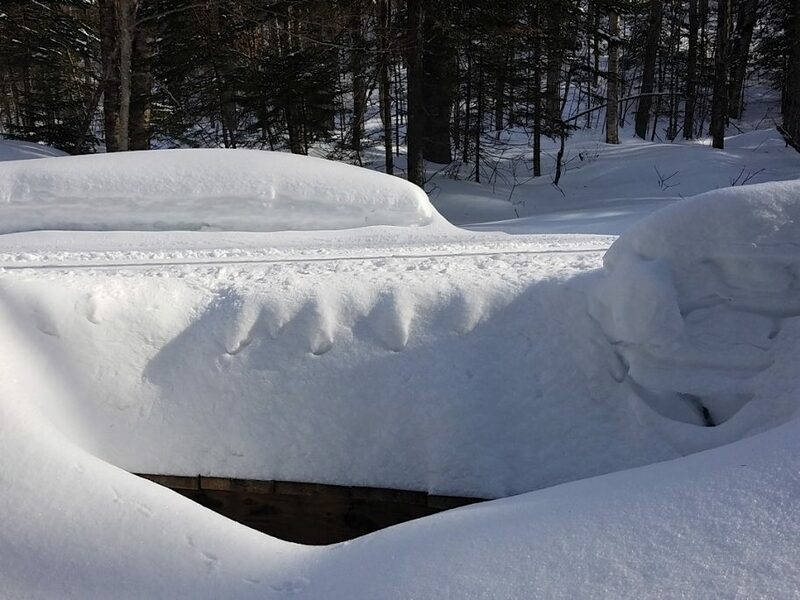 Work Party planned for saturday on Three Ponds Trail is still happening. 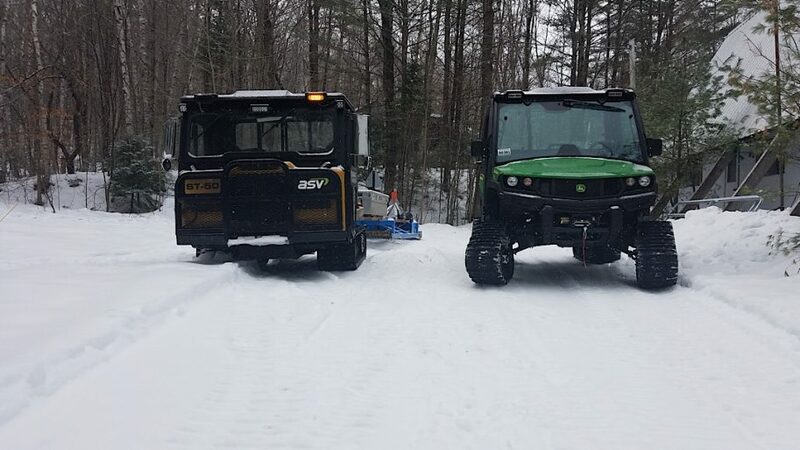 Trails were groomed early this week. Expect spring conditions and hazards to develop as wet areas begin to open. We used up our grooming budget this week but if temps allow there will be some more grooming. Our machines are ready for some R and R.
Trails continue to be excellent. 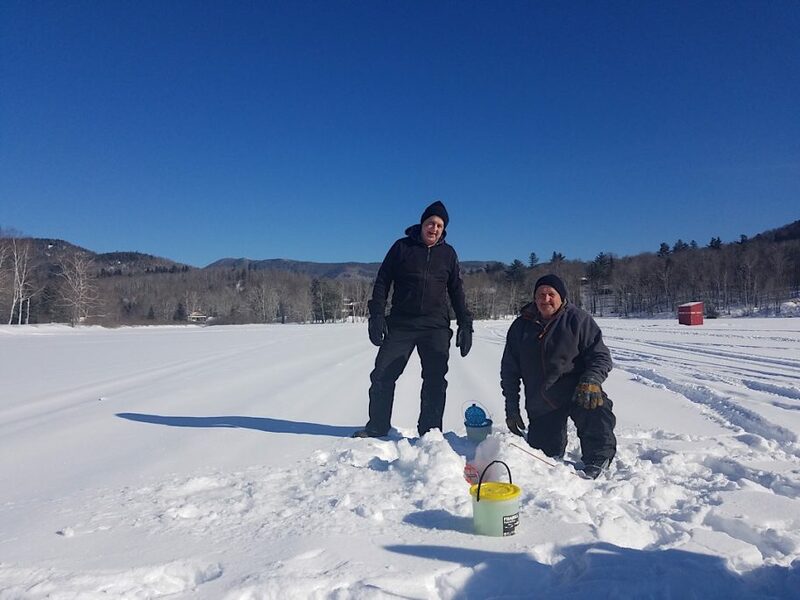 Ever wonder how much ice is on Stinson Lake? Thirty inches according to these locals. All trails are in excellent shape. Plenty of snow and cold temps. Should be another great weekend to ride our trails. 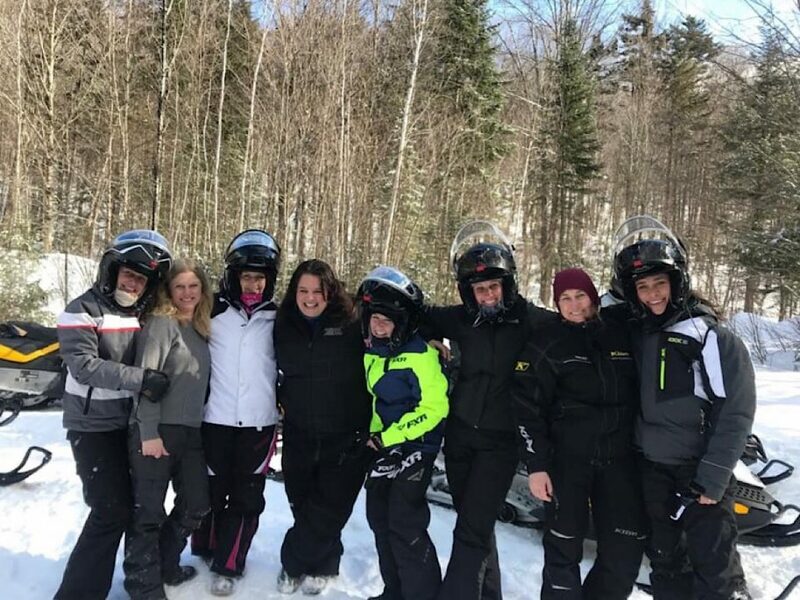 A group enjoying a Happy 50th Birthday Ride on the Bruhawachet Sno Trackers Trails. 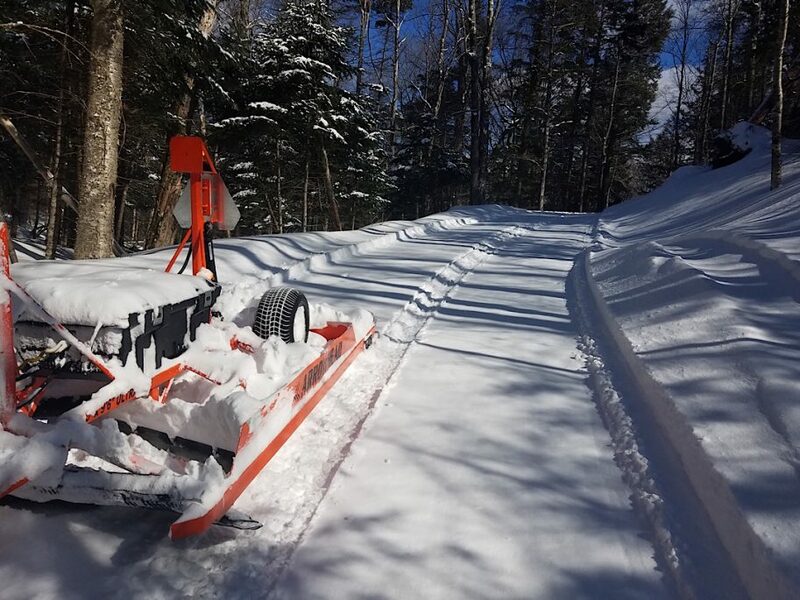 Trails are groomed and in excellent shape. We received 6-8 inches of fresh snow tuesday. All surrounding clubs are working hard to keep this peak season riding great. This picture was taken on Kineo Trail. We received 9 inches of new snow this week. 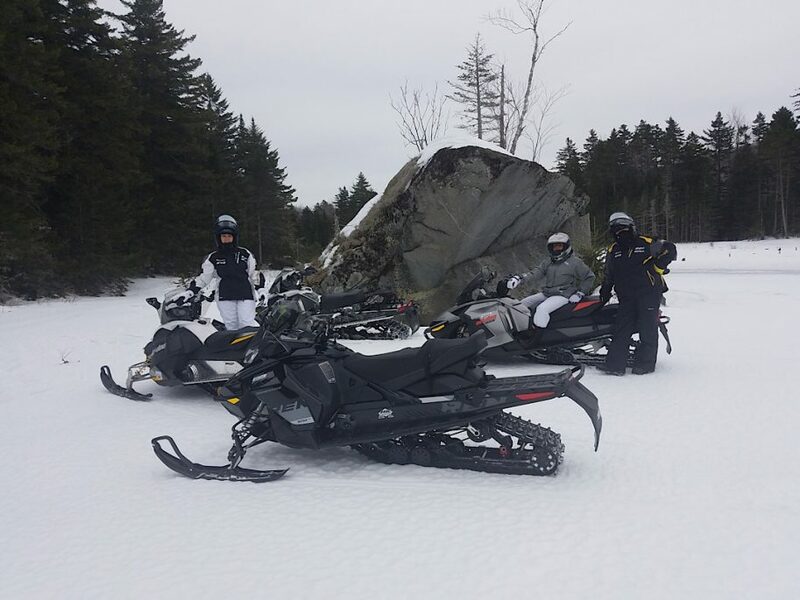 All our trails were packed and groomed this week. Riding is excellent. 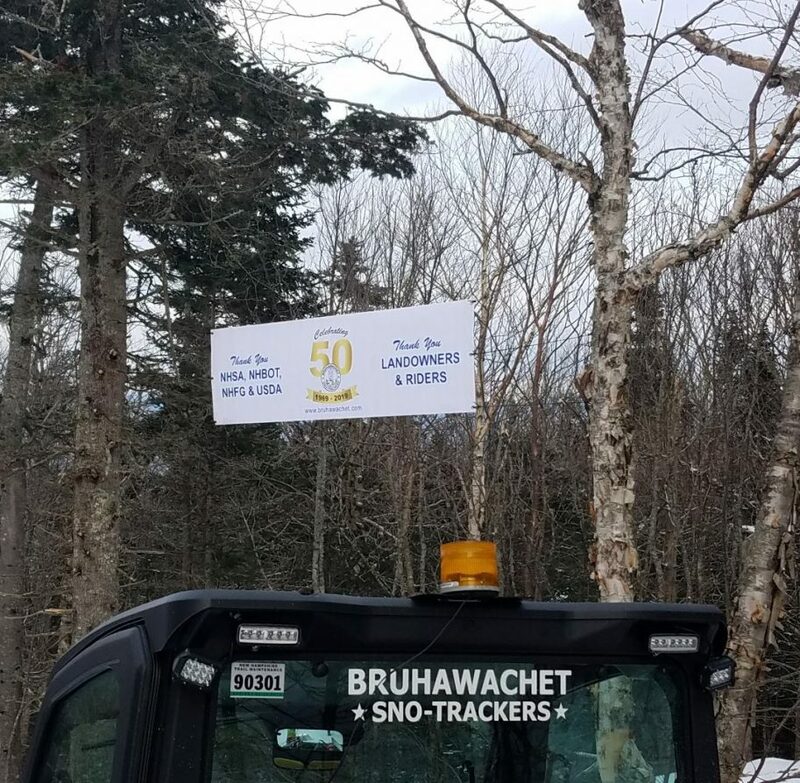 Check out our 50th Anniversary Banner near the summit of Stinson Mtn. Thank you for your support.